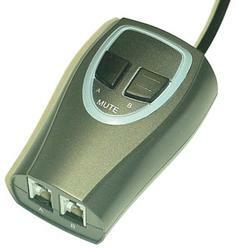 The 03929-63 Training Adapter lets you plug any two headsets, Wireless or Corded into the training adaptor. It comes with a mute switch on both sides. It is very easy to use, you can even have a handset and a headset plugged in at the same time. Great for training.